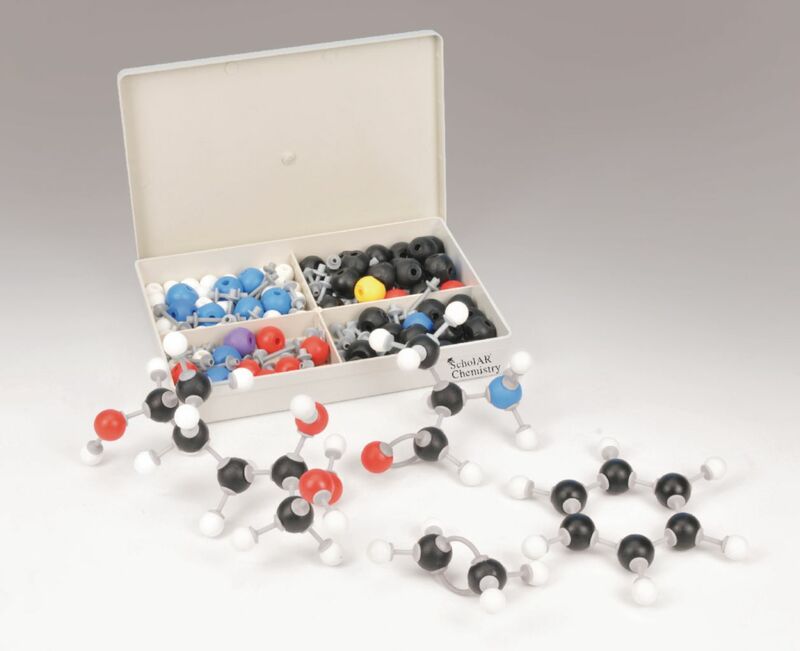 Elements most commonly used in biochemistry are featured in this colorful, hands-on molecule building kit. Ideal for skills demonstration and practice for high school and college biochemistry students, this kit includes 79 color-coded spheres featuring carbon, oxygen, hydrogen, nitrogen, sulfur, and phosphorus elements, with holes for inserting links to represent chemical bonds. Forty-four medium bonds and twelve long bonds are included. Spheres range in diameter from 15mm to 22mm.